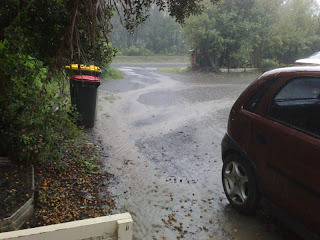 Well here it is Valentines Day 14th February 2010 at 7:30 am and its raining. 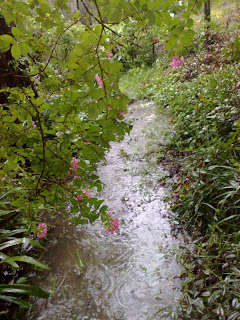 SO I had nothing better to do than go for a wander and see exactly where all the rain has been going. So why not come for a walk with me around our house. 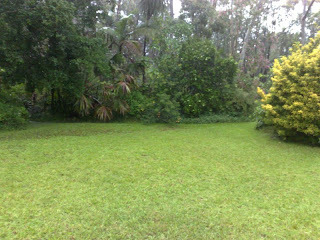 We start above looking out from our front verandah. 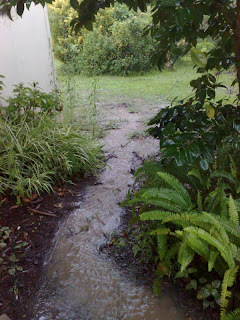 flows along the front of the verandah. Lets walk down to the far corner to see whats happening. 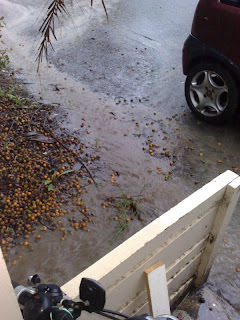 It has made another turn around the edge of the lounge room. This is with us standing on the other side of the red gate. That wall is our bedroom. collecting with all the water running off the roof. I didn't take the picture up high enough but our house has no gutters. 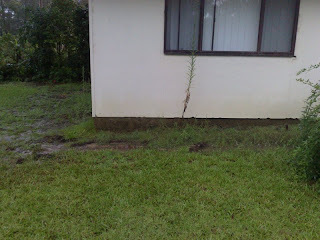 so the water hits the roof and runs down and over the edge on this side of the house. 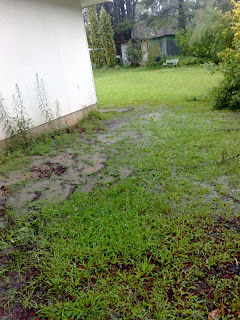 You can just see the trench under our bedroom window. 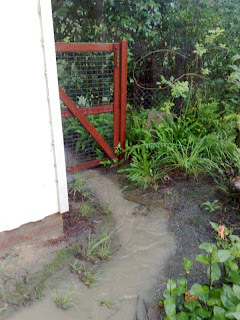 So this water merges with the water that has come down around from the front of the house. It then continues on an angle across the back lawn. That yellow tree is near our bedroom. 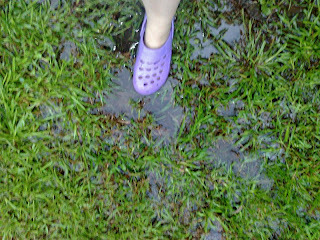 As we walk across the lawn heading toward the palmy type trees your feet are going to get wet. 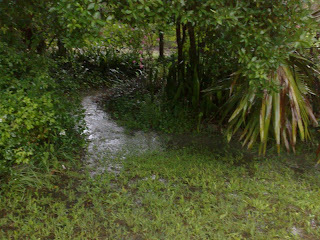 Now we have made it to those palmy type trees and have found another river. Lets go see whats happening behind those trees. In fact your feet are even wetter. I think its time to go back inside. So that concludes our walk today around our very wet house. I hope you enjoyed getting wet with me. 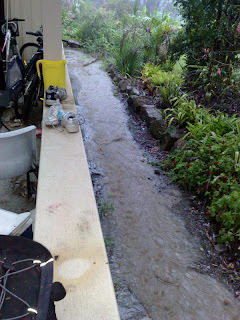 Now I know what my wife has been doing when she disappeared from the house into the rain! 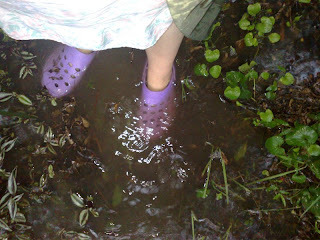 Aren't you a bit old to be playing in puddles my dear?